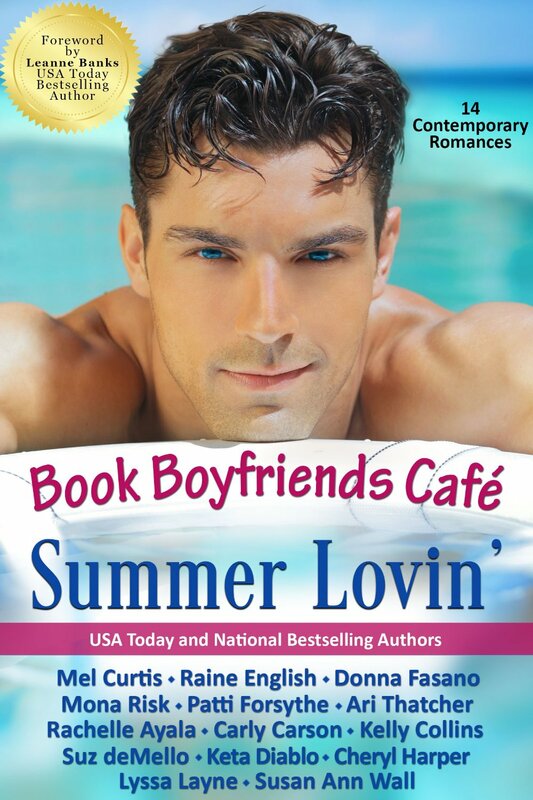 Summer Lovin’ will be available May 19 (but you can preorder now). 14 stories! Get it while it’s 99 cents! He would be. Why shouldn’t she? “No, but you could do dinner. With me.” This hadn’t been in his plans for the evening. He’d intended to buy a nice woman a couple of drinks and then to take her back to his place. He’d vacuumed with that in mind. Arguing in a parking lot had never crossed his mind. He’d rather be facing off with Sue than trying to charm a stranger. “I wish I knew the answer.” Sue stepped closer, pulled his head down, and kissed him. Whenever he’d imagined a clench like this with her, it had been hot. But in the dusty gravel lot of the Two Step, she burned him alive. Her lips were sweet against his, but when he teased into her open mouth, she returned the favor. Each brush of her tongue lit a spark. Pulling her closer was the only option. When she shifted against him, each graze of her soft stomach robbed his brain of important blood flow. The giggles of a group of women walking to their cars, none of whom he recognized, got his attention through the haze of heat.